Student Agencies, eHub project was the creation of a dynamic new space for the offices of Student Agencies, Inc., their affiliated not‐for‐profit, and their student-run companies. 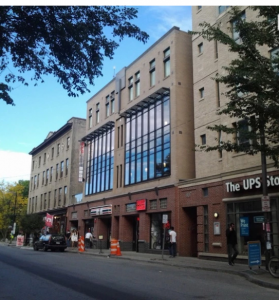 The space hosts the “eHub,” a Cornell business incubator for students and a co-working/business incubator space for startups founded by Cornell affiliates – students, faculty and staff. The project was a collaboration with the Entrepreneurship at Cornell program (eShip). The design retains the current building uses while renovating the lobby, facade, 2nd, and 3rd stories. 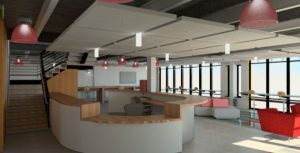 Facilities include open office space with areas of both fixed and movable furniture, meeting rooms of various sizes, business support spaces for printing and communication, lounge spaces for casual collaboration, and a multipurpose space for gatherings, lectures and other educational and networking events. 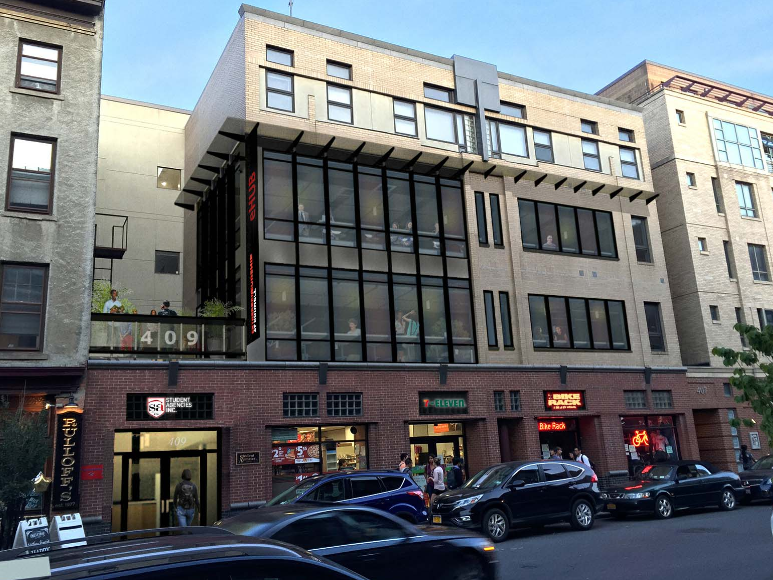 In considering the façade re-design, a balance had to be struck between creating more openness while respecting the positive attributes of the existing façade. Taitem provided mechanical, electrical,plumbing, fire protection, and structural design services for the project.